Manchester United’s players were firmly put in their place by pundits and club legends Rio Ferdinand and Paul Scholes after last night’s game against Juventus. The Red Devils lost 1-0 at home to the Italian giants, and were barely in the game despite the close scoreline. 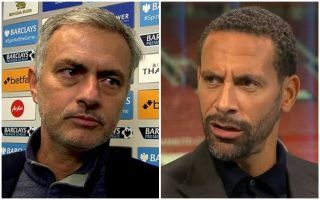 Speaking frankly on BT Sport afterwards, Ferdinand made it clear how unimpressed he was as he described the contest as like watching ‘men against boys’ at Old Trafford. This is a far cry from what Ferdinand and Scholes will have been used to when they played for United, and their former midfielder added that there seemed to be an acceptance about Juve’s superiority throughout the match.